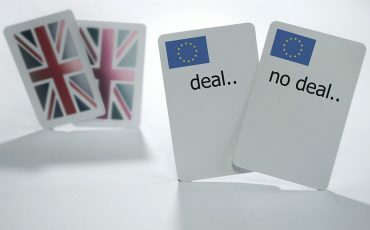 With the prospect of a “No-Deal” Brexit on the horizon, there are a number of issues that a supplier or manufacturer should be considering and preparing for. Below are the key points we consider relevant, but you should not hesitate to contact the Thompson Smith and Puxon (TSP) Corporate and Commercial team for further advice and assistance. As with any contract, the contractual relationship between customer and supplier is, for the most part, focussed on managing risk. Many customers will expect its supplier to bear the risk of any negative impact of Brexit on the supply chain. But, as with the Brexit process itself, there is a substantial degree of uncertainty as to the nature and extent of any Brexit impact (both in the short term, and the long term). What does seem likely, however, is that the costs associated with carrying on trade are likely to rise and suppliers may well feel compelled to increase and fix prices and provide for extended delivery times. From a customer’s perspective, and depending upon the extent of any price rises, it may be more desirable for it to absorb such risks, rather than the inflated costs. Suppliers should carefully review their existing contracts, and identify any possible areas that could be adversely affected by a no-deal Brexit. Where any issues arise, and where possible, a supplier may seek to terminate or re-negotiate its contracts. Suppliers will often warrant that the goods supplied and the supply itself comply with “all applicable laws and regulations”. The question is of course “which laws and regulations?” In the absence of these being specified in the contract there is a risk that, post-Brexit, a supplier will have to comply with new laws or regulations which may put it in a worse contractual position than it would have been in pre-Brexit, without any contractual means of compensating it for any increased costs as a result of those changes. Reliance on “force majeure” clauses would, at best, only allow for non-performance of a contract, but is unlikely to cover increased supplier costs. Therefore, if a contract includes an “all applicable laws and regulations” clause, we would recommend that the supplier seeks legal advice to assess the best way to minimise any detrimental impact on the supplier arising out of that clause. Where a contract adopts legally binding international trade terms, such as Incoterms, care should be taken, particularly when adopting a single applicable Incoterm. Incoterm 2010 DDP, for example, makes a supplier responsible for customs clearance in the customer’s country, including the payment of customs duties and obtaining necessary authorisations. After Brexit, there is a risk of duty and tariff increases, and delays in obtaining consents from relevant authorities. We would recommend further legal advice is sought in respect of any contracts that adopt Incoterms (and in particular Incoterm 2010 DDP). There are other issues too, which a supplier should consider when assessing the impact of Brexit on its ability to perform a contract. For example, will a supplier lose any grants or other incentives, and will it suffer increases in the cost of raw materials? It is also expected that, following Brexit, any UK business that supplies to the EU may no longer qualify for VAT simplification measures that would avoid the need for local VAT registrations; and this may well to lead to increased administrative costs for suppliers. And then there are liability issues. Who will take responsibility, and liability, for border delays, and local regulatory licences and consents? To download this information as a PDF guide please click here. For more information or advice, the TSP Corporate and Commercial team can be contacted on 01206 574431 or by email at info@tsplegal.com.